The lead-up to the 19th Biennale of Sydney has been riddled with controversy. Just three weeks before opening, the Biennale’s only private sponsor, Transfield Holdings, has ended its forty-one year relationship with one of the country’s longest-running international arts events. This happened after Transfield copped heavy criticism from artists, the public and international government agencies for its commercial involvement in Australia’s system of mandatory detention of asylum seekers. In 1975, Australian painter Ivan Durrant dumped a dead cow on the steps of the National Gallery. The media went wild and the public was outraged. Back then, at the end of the Vietnam War, this reaction threw the public’s ability to overlook far worse horrors into stark relief. For Australia possesses a sort of covert public hangover derived from two-and-a-bit centuries of enjoying a wealth built on colonial exploitation and xenophobic border politics. At certain moments the silence is shattered and we are forced to address the elephant (or dead cow) in the room using more than the usual token gestures. The scandal surrounding Transfield’s involvement in the Sydney Biennale presents us with one such instance. Perhaps there is some information to be shared here for artists and curators elsewhere wondering about how to negotiate the murky territory of compromised funding sources. The current Australian government ‘outsources’ asylum seekers to its former territory Nauru, an island in the South Pacific, and Papua New Guinea’s Manus Island. 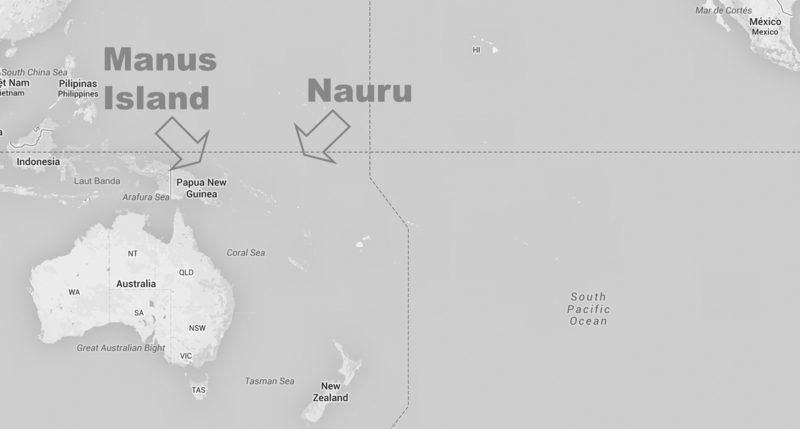 These two island detention facilities are located on the edges of the Australian territorial imaginary, but they sit at the dark heart of the controversy over the sponsorship of the Sydney Biennale. Transfield Services has run the detention centre on Nauru since February 2013. At the end of January, it secured a governmental contract to take over ‘garrison and welfare services’ on Manus Island, previously run respectively by Transfield’s rival service provider GS4 and the Salvation Army. Where? Both islands are so tiny that they don’t show up in a zoomed out map. Australia has been detaining immigrants without papers since 1992. Today, both Australia’s ruling coalition and its political opposition support a mandatory detention system where asylum seekers can be detained for an indefinite time period. Moreover, mid-last year, the previous Labor government designed a ‘solution’ in which confirmed refugees were to be resettled not in Australia, but in Papua New Guinea. This meant that when the Liberal-National coalition was elected late last year, the new Immigration Minister Scott Morrison could freeze all asylum seeker applications for Australian visas, even though the terms of the ‘PNG Solution’ have not yet been accepted by the PNG government. Is there a process? What is it? Will transferees who have been deemed refugees in other countries be given priority in processing? Some of the transferees have been interviewed some time ago, what is happening with our process? What is the hold-up? Who is responsible for us here on Manus – PNG or Australia? Why wonâ€™t Immigration (department) allow media to come here and interview us? The Playfair lawyer said there was a third country option, why can’t we be sent to this other country? The asylum seekers received only one answer to their questions: that they have definitively no chance of resettlement in Australia whatsoever. On the night of the 17th of February, clashes on Manus Island took place between asylum seekers, security guards, PNG police, and island locals. No less than 62 asylum seekers were injured. Iranian Reza Berati was killed, allegedly by multiple blows to the head with a plank of wood, according to a leaked PNG police report which also details the use of rocks and weights as weapons, and points out that blood could be seen on the boots of detention centre security staff as they patrolled the centre on the following day. The results of the autopsy of Reza Berati, the exact details of the situation, and likely the final investigations of the Manus Island incident remain unknown, as media access to detention centres is strictly controlled by the Australian and PNG governments. 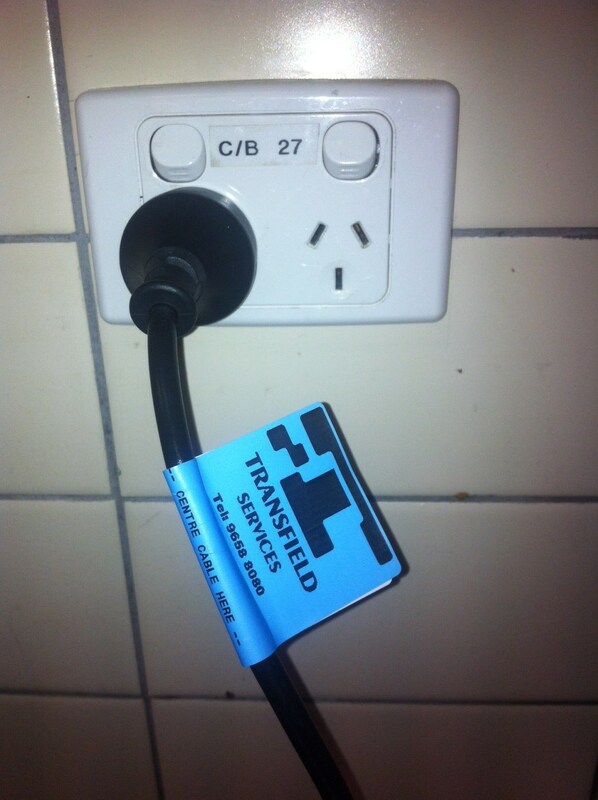 And what of Transfield? As a result of its new contract to take over Manus Island, worth $AUD 1.2 billion, Transfield Service’s previously shaky share prices shot up by 21%. Transfield Holdings, which holds a 12% majority stake in Transfield Services, reaped the rewards accordingly. Transfield Holdings is the sole private sponsor of the Sydney Biennale. After a series of public meetings twenty-eight Biennale artists penned a carefully worded open letter to the Board of Directors of the Biennale of Sydney petitioning it ‘to act in the interests of asylum seekers. As part of this we request the Biennale withdraw from the current sponsorship arrangements with Transfield and seek to develop new ones.’ This letter, dated the 19th of February and widely circulated in the Australian press, was subsequently signed by 41 of the 94 participating Biennale artists. In light of this statement, the ensuing events have landed the Biennale of Sydney with a decent amount of egg on face. On the 24th of February, the first five artists withdrew their work from the Biennale, stating that ‘We do not accept the platform that Transfield provides via the Biennale for critique. We see our participation in the Biennale as an active link in a chain of associations that leads to the abuse of human rights. For us, this is undeniable and indefensible’. On the 5th of March, an additional four artists withdrew their work. What precipitated the final break between Transfield and the Biennale of Sydney was not a response from its staff members, nor was it a reaction from curator Juliana Engberg, who has remained more or less publicly silent on the topic. The break between the two entities originated from the very curious reaction of Luca Belgiorno-Nettis, Chair of the Biennale and Director of Transfield Holdings. On the 7th of March, Belgiorno-Nettis resigned as Chair of the Biennale Board taking with him Transfieldâ€™s money: this, despite previous claims that the Biennale could not exist without Transfieldâ€™s support. Reading between the lines, it seems that Belgiorno-Nettis is both indignant and insulted. To put this in context, the Sydney Biennale and Transfield have been in tight collaboration since the eventâ€™s inception â€“ so much so, that in its early days it could just as well have been called the Transfield Biennale. Transfield’s executive director was then Luca’s father Franco Belgiorno-Nettis, a well-moneyed Australian Italian who established the first Biennale in 1973 guided by ‘civic-minded boosterism, nostalgia and philanthropy’, and inspired, apparently, by the mother of all Biennales in Venice. The exhibition, a conservative selection of mainly local artists presented in the brand-new foyer of the Sydney Opera House, was funded largely with Transfield money and staffed largely by Transfield workers. 1973 also saw the establishment of Australia’s current arts funding body, the Australia Council. When Transfield secured significant Council funding for its second Biennale, Transfield’s involvement in philanthropy extended slowly to the Australian Chamber Orchestra, the Art Gallery of New South Wales, Sydney’s Museum of Contemporary Art, and numerous other community and art-based ventures. Thus, when Transfield Holdings cut its ties with the Sydney Biennale, one of Australia’s longest-standing private/public funding relationships came to an end, leading to fears that, under the current conservative political climate in Australia, other public-private funding relationships could be jeopardised. These fears have been confirmed by Australian Arts Minister George Brandis’s less than constructive response to the situation: a letter urging the Australia Council to punish arts funding recipients who reject private funding on political principle. But where does the rest of Transfield’s money come from? Over the decades, the company has acquired significant contracts from the Australian Department of Defence worth over AUD 400 million, not to mention a series of businesses providing services to the oil, gas and coal sectors in Australia, India, the Gulf Region, Chile and North Dakota. Undisclosed proportions of Australians’ retirement funds are invested in the company. Tony Shepherd, the former chairperson of Transfield Services, now heads Australia’s new Commission of Audit, which is mandated with recommending spending cuts in the public sector. Transfield is, indeed, everywhere, but its omnipresence seemingly does not equal omnipotence. Instead, it has become a slave to the bottom line. For Belgiorno-Nettis’ decision to end Transfield Holding’s relationship with the Biennale sits in direct contradiction with his own principles. Belgiorno-Nettis has heavily criticised the ‘spectacle’ of contemporary politics as a process caught between ‘two candidates on different sides of an issue, each attacking the idiotic ideas of the adversary.’ His own NewDemocracy Foundation agitates for forms of citizen involvement that draw on the model of juried collective decision-making as an alternative to bi-partisan representative democracy, a process not dissimilar to the community consultation artists undertook in the lead-up to their withdrawal from the Biennale. In a recent interview, however, when asked what he thought of Transfield Service’s involvement in the mandatory detention industry, Belgiorno-Nettis proclaimed that Transfield Services are ‘doing nothing wrong anyway, in our view’, arguing that the company’s role is simply part and parcel of a government policy voted in by the people of Australia. Putting aside the dubious ethics behind this statement, this position sits in total contradiction with Belgiorno-Nettis’ own doubts of the efficacy of the democratic system. Clear thinking is here undermined by complicity: in this case, a financial complicity. There are, however, other forms of complicity that are perhaps more universal. The complicity of being an Australian citizen who voted for the current government. The complicity of being an Australian citizen despite having voted differently. The complicity of enjoying the wealth of a country that has put a barbaric system of mandatory detention to use since 1992. The complicity, more generally, of being a person who uses a passport when there are people who cannot. The complicity of being human when other people are treated as if they are not. 1) Complicity is an unbearable part of being human. Its very unbearability makes us turn away. When someone faces their complicity in all its complexity, when someone faces their imbrication in a system of horror, when someone acts in a situation where action makes no sense, the rest of us have a responsibility to listen very carefully. 2) Where we are not complicit is where commercial bodies have the run of power. A policy of mandatory detention upheld by governmental institutions is subject to the democratic reckoning of voters and governmental transparency, ideals that â€“ as Belgiorno-Nettis himself argues â€“ are troubled enough as it is. A detention process executed by private contracters and subcontracters, on the other hand, acquires an unbridled trajectoy and opacity of its own, filching away from the right of the people to determine the conditions of their own political existence. 3) Artists exercise the right to unbridled and uncensored freedom of speech. Those who seek to draw a division between art and politics are also those who are afraid to listen. 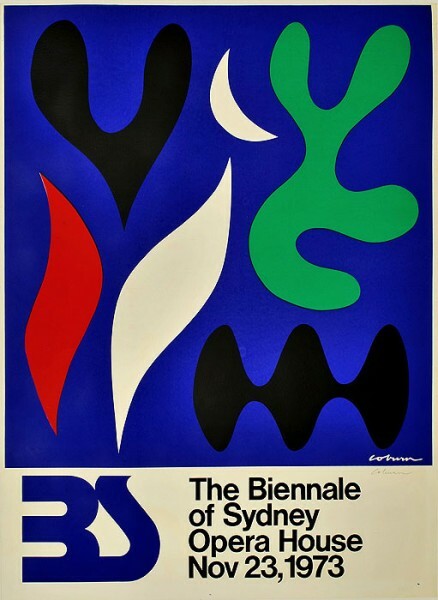 It may well be that, when voting in the current conservative government, the Australian people indeed ‘imagined what they desired’, and, in a perverse reversal of Engberg’s own slogan for the Sydney Biennale, they also got it. But now, pardon the bad joke, the proverbial dead cow is on the steps of the gallery. It’s a indictment on the Australian political system that some people have to get hurt for other people to take action, and a twisted irony that, in the very moment when we realise that our day-to-day life is built on such horrors, our right to have a voice in shaping our political reality is being eroded at the edges by incremental processes of privatisation. In this context, the dissenting Biennale artists have confronted our complicity, acting in defiance of a situation where, if you ask Transfield, the Australian government (including its Arts minister), the Biennale Board, and the mainstream journalists, action makes no rational sense whatsoever. It is worth noting that Durrant’s cow-dumping occurred neither inside the gallery, nor on the steps of Parliament House. The carcass was left on the steps of the art institution, at that troublesome threshold between art and the street. In his case, as in the case of the nine artists who refuse to take part in the Sydney Biennale, the power of art lies in its withdrawal from the institution and its reappearance elsewhere, in a space where it might be confused for madness or activism, for an attempt at dialogue or a rash act of love, where it might disturb a public order we can no longer bear. The Biennale of Sydney will open on the 21st of March. Sonja Hornung is a Melbourne-born artist and writer currently living inÂ Berlin. She is undertaking her Masters in Spatial Strategies at Weissensee School of Art. Â Â Â Anthony Gardner & Charles Green, ‘The Third Biennale of Sydney: White Elephant or Red Herring‘, Humanities Research, Vol. 19, No. 2, May 19 2013.